The Incredible Hulk, a modern day Jekyll and Hyde with the strength of Frankenstein’s monster, was created by Stan Lee and Jack Kirby in 1962 for Marvel Comics. 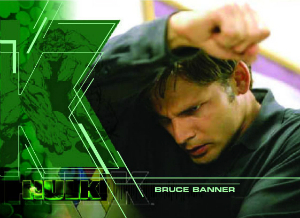 Since his first comic book appearance, Bruce Banner and his hulking alter ego have remained a popular and important character within the Marvel Universe inspiring cartoons, live-action television shows, and movies along the way. This guide will help you navigate the incredible collecting potential of the Incredible Hulk, focusing on comics, trading cards, and action figures. Physicist Bruce Banner, a quiet and withdrawn scientist, first morphs into the Jade Giant while saving a young man who finds himself in the path of Banner’s gamma bomb tests. In the wake of that gamma blast, Banner discovers that he possesses the power to change into The Hulk, a giant superhuman with incredible strength. The only problem, though, is that Banner cannot control this power and, seemingly, transforms when he is angry. The Hulk has been a constant in Marvel publications since his introduction in The Incredible Hulk #1 in 1962. He has also been a member of many Marvel teams, including The Avengers, for which his character appears in the film franchise. Because of the long history of The Hulk, as well as his many team-ups over the years, collecting the character’s many connections can be a bit tough and extremely expensive but, based on the his continued popularity, value on these collectibles has remained high and is showing no signs of slowing. WOLVERINE VS. INCREDIBLE HULK ART PRINT - SIGNED JAE LEE 11"x17"
Hulk Herb Trimpe signed british 75% stat some hand drawn, signed Hulk 140 recap! WOLVERINES #1 VARIANT CGC 9.6 SS Signed & Sketch Sal Buscema! HULK vs WOLVERINE! CGC 9.8 SS Hulk #9 Red Hulk Sketch Variant Signed Stan Lee! The Hulk has been part of several comic runs over the years but The Incredible Hulk is where it all began. Review the key Hulk comics lines below, including his time with the Avengers. Click on the images or links to shop on eBay. Although The Incredible Hulk (as a comic book title) has been around off and on since 1962 in some form or another, the initial run of six issues between 1962 and 1963 are among the most valuable Hulk comics for collectors. 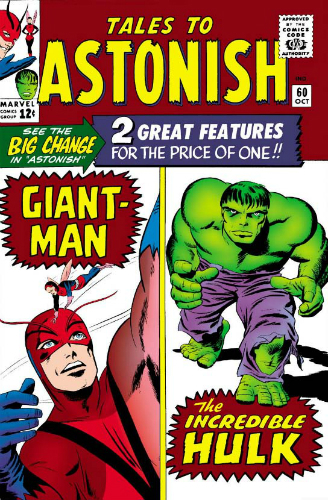 In the 60th issue of Tales to Astonish, Marvel began including two stories with each issue, with one of those stories being devoted to The Hulk. Along with earlier editions debuting characters like Ant-Man and Wasp, the issues between 60 and 101 can have significant value among collectors. 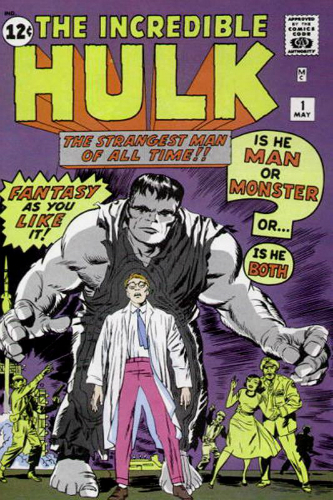 Issue #102, released in 1968, saw the title changed to The Incredible Hulk. 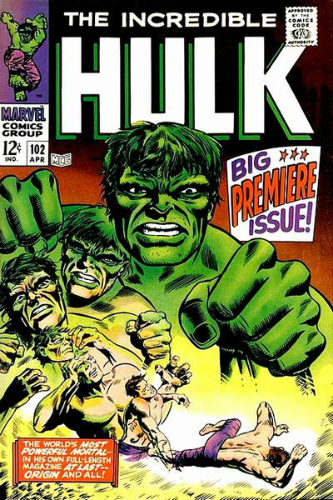 Volume two of The Incredible Hulk comic book began with issue #102 in 1968, picking up on the sequential numbering of Tales to Astonish, and ran until 1999 when it concluded at issue #474. Early issues of this comic, #102 in particular, will cost collectors a considerable amount of money but far less than the original six issues of the series from 1962. Since 1999, other editions of The Incredible Hulk have begun and been cancelled and are of little financial value at this time, which makes them easy to collect for completists. 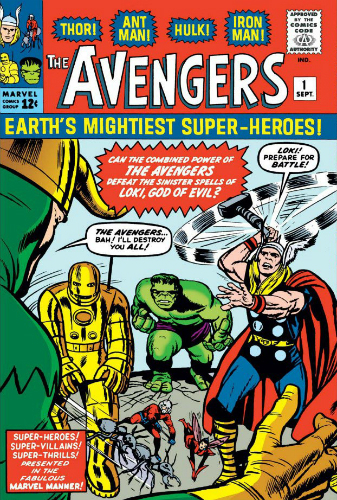 The Hulk was a founding member of The Avengers and appears in issue #1 of the comic book which is an incredibly valuable edition. Over the years, The Hulk has appeared in many Avengers issues, coming and going from the group at will. As there have been five volumes of the book spanning over 500 issues, digging around for the issues featuring Hulk may be a fun challenge for comic collectors seeking Hulk-specific stories. INCREDIBLE HULK #107 (VG FN) TEN RINGS HATH...THE MANDARIN! 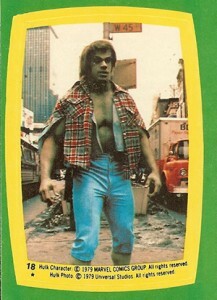 The Hulk has been featured in nearly every Marvel Universe card collection since his introduction to that world. His first appearance was in the Donruss Marvel Superheroes (1966) and later in Marvel sets released by Impel (1990-1991), Skybox (1992-1994), Flair (1994), Fleer (1994-2013), and Rittenhouse (2012-2014). The Hulk is also featured in cards devoted to The Avengers, so collectors will want to browse through those checklists for base, chase, and autograph cards as well as sketch cards from more recent releases. Below are the card sets released specifically for The Hulk. Click on the listings or images to shop on eBay. When available, linked sets in the body go directly to detailed product profiles or guides. 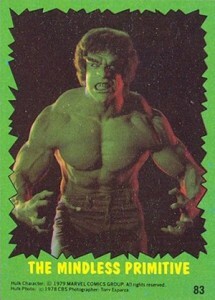 Topps has released several trading card sets devoted to Bruce Banner and his angry alter ego, beginning with Topps Incredible Hulk set from 1979 that was inspired by the popular television series. This set isn’t terribly hard to find and, on occasion, full unopened boxes appear on online auctions. 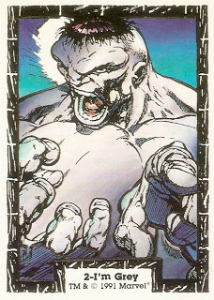 In 2003, Topps again released an Incredible Hulk trading card set but despite the identical set name, these cards were based on comic book imagery. The 2003 Incredible Hulk set also features chase cards of more interest than the stickers included in their 1979 release. In 1991, the Comic Images Incredible Hulk set was released and was the first Hulk set devoted solely to the comic book version of the Jade Giant. This 90-card set is very similar in style to the Spider-Man trading cards Comic Images released during that same era, which makes this set a cool companion piece. Complete sets are plentiful online and it is not uncommon to find sealed boxes if you’re hoping to compile some of the accompanying chase cards. To coincide with the release of the first Hulk movie (you know, the one that inspired an immediate franchise reboot), 2003 saw the release of Upper Deck Hulk trading cards. This 81-card set was billed as a “Film and Comic Card Set” because it combined imagery from the movie with original artwork based on the comic book franchise. This remains a rare means to building a card set and may be of interest to comic card collectors even if they have little interest in Hulk sets. Like many Hulk releases, this one is easy to track down as a complete set, as separate cards or in unopened boxes. Also, one special person may pull a redemption card for an original 1962 Hulk comic book. In 2008, Rittenhouse released their Incredible Hulk set as a complete set, just as they have for previous Marvel franchises. Each rare set, limited to 375 in total, includes two autographs (Ed Norton and Lou Ferrigno), six costume relic cards, and a numbered movie poster card. 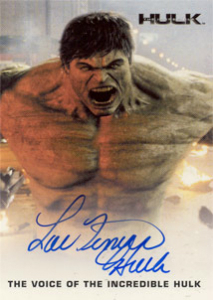 Collectors who purchased three sets were also given one of the alternate autograph cards featuring Lou Ferrigno and Ed Norton as The Hulk. These are limited to 125 each and are less common though online auctions so interested collectors should jump on these when they spot them. 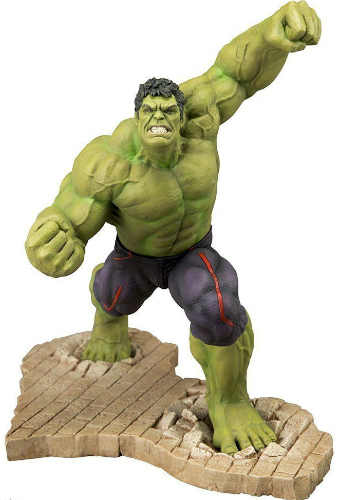 Just like many of the iconic characters of his generation, The Hulk has been immortalized in figure form dozens of times and in dozens of styles. While only some of these figures have become quite valuable, they’re all great additions to any collection. Click on the images or links to shop on eBay. When available, linked sets in the body go directly to detailed product profiles or guides. The Hulk has been a hulking option on the action figure market since the first superheroes were cast in plastic in the 1970s. Mego’s World’s Greatest Super Heroes line included a Hulk figure and, as is always the case with Mego action figures, there are several variations in costuming, packaging, mold design, and coloration for collectors to track down. Toybiz first released Hulk figures in their premiere Marvel Super Heroes line and released several figures (often labeled as Marvel Toys) until the end of their license in 2007. Toybiz has since gone out of business and the figures under their label sell for slightly higher than most and are still relatively easy to track down. 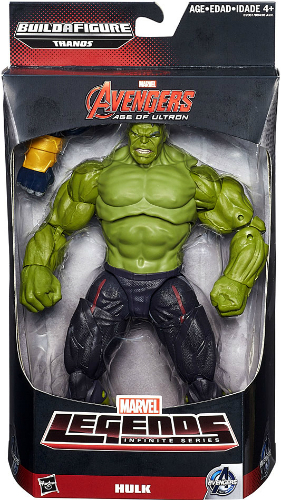 Hasbro is the modern day manufacturer of Hulk action figures and he appears in their Marvel lines as well as their Avenger lines of figures. These figures are easy to track down and are rarely sold for more than retail value but they may be a great place for a novice collector to begin their collection. Statues portraying superheroes in action scenes or iconic poses are popular among collectors and offer a great piece of art to exhibit your fandom. Sideshow, who have produced several beautiful Hulk pieces over the years, has a ¼ scale statue that sold for over $2,000 in March of 2016 and, as all of their statues are, is a limited edition. For budget conscious collectors, statues released by Bowen Designs are unique and well crafted and, typically, sell for a less steep price than Sideshow (but not always). Kotobukiya statues come in a bit cheaper than either Sideshow or Bowen and, yet, still feature The Hulk in creative and detailed designs. All of these statues maintain their value regularly and are often sold for much higher than retail prices shortly after release. 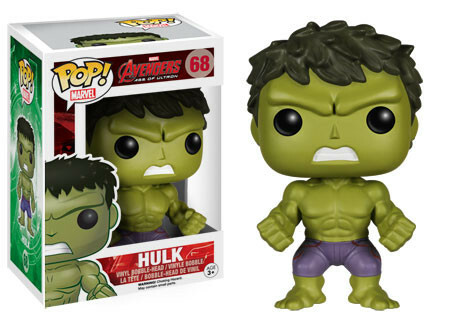 Funko, as they do with all of their licenses, has released several versions of The Hulk under several different product lines. Appearing in the Marvel Universe line as well as their Avengers line, The Hulk Funko has many variations and retail/comic-con exclusives, including Compound Hulk and a metallic Red Hulk, which frequently sell for top dollar on online auctions. Collecting the various designs and exclusive figures can be a great place to start a figure collection at a reasonable price but collectors should be warned that prices for Funko figures increase significantly once a figure is retired. I would like any details on a figure I have. I was told many years ago it is an original Hulk figure from the 1960s. It is all rubber and has Marvel Comics Group running up the left thigh. The figure is in excellent condition and is 9 and a 1/2 inches tall.